The USS ENTERPRISE (CV-6) was affectionately referred to as the Big E’ by her crew and a country that depended on her to hold the line in the early dark months of the war in the Pacific. On several occasions the Big E was battered but not beaten and always returned to protect her nations security. Although the Japanese had reported her sunk 7 times during the war, she survived. Due to a kamikaze hit on 14-May-I 945, the ENTERPRISE missed the end of the war and a triumphant ride Into Tokyo bay. The Big E was decommissioned in 1947 and laid up in storage; its a sour note that this ship was unceremoniously scrapped at the end of her useful life In l959, instead of being saved by the most prosperous nation on earth that owed its freedom to this ship and her crews. Our hull for the ENTERPRISE is complete up to the hanger focsle deck (the modeler has to build up the hanger sides) and features molded in armor belts, anchor bolsters, 5” gun sponsons and the shaft & strut locations. 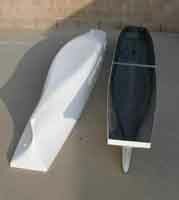 A fiberglass island structure and a set of arrangement plans comes with this hull as well. (At this time only plans for USS YORKTOWN CV-5 are available. This hull can be used to build the USS YORKTOWN (CV-5). (CV-6 pre 1944) and USS HORNET (CV-8). The Fighting Lady - the classic documentary on the USS Enterprise, in color. Check it out on DVD for less than 5 bucks! 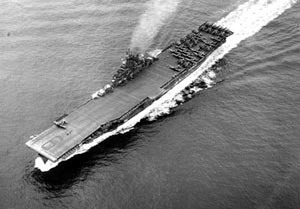 The FRANKLIN was the fourth ship of the highly successful ESSEX (CV-9) class Aircraft Carriers that led the US Navy to victory in the Pacific from 1943 to 1945. The FRANKLIN fought in most of the later carrier battles In World War Two, until the ship was bombed and severely damaged off the coast of Japan in March Of 1945, the ship was never fully repaired after this and never returned to service. Although repair work continued on for over a year, the ship was laid-up in an uncompleted state until scrapped in the 1960’s. Our hull for the ESSEX class is complete up to the hanger focsle deck and features the early rounded bow and has the armor belts, stem 40mm gun sponson, the port forward 5” & 40mm gun sponson and the shaft exits & strut locations molded in. This hull also comes with a fiberglass island structure and a set of arrangement plans. 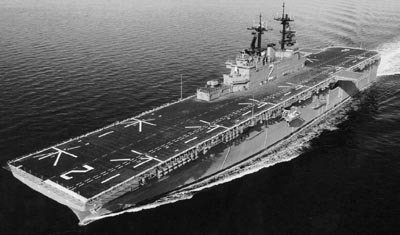 The HANCOCK (CV-19) was built as a long hull (clipper stem) ESSEX class Aircraft Carrier. These ships had their focsle deck at the bow enlarged to accommodate 2 quad 40mm gun mounts instead of only 1 as the earlier ships had. They also had the forward end of their flight decks shortened to improve the arcs of fire for these guns. This hull features the long clipper bow and is complete up to the hanger / focsle deck and has the armor belts, stern 40 mm gun sponson, the port forward 5” & 40 mm gun sponson and the shaft exits & strut locations molded in. Our largest offering, the USS NIMITZ (CVN-66) is the kind of project that most modelers could only dream of- until now! Although large, it is not beyond the capabilities of modelers with access to some space (and an understanding spouse!). Aircraft are available compatible to this scale and we already offer an extensive line of escorts, weapons and fittings to use with the NIMITZ. Finally the 1:96 scale modern task force is possible! 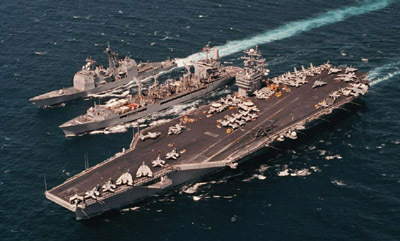 Imagine the sight of the NIMITZ in company with other vessels in this scale sailing majestically across your local pond. 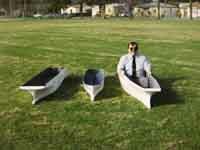 Although not for everyone this IS the ultimate warship model. This hull features accurate lines, anchor bolsters, elevator sponsons, shaft exits and strut locations molded in; a set of 1/8” scale arrangement plans are also included. 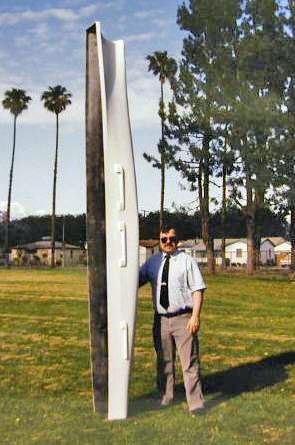 This hull can be modified to use for CVN-65 USS Enterprise. SeaPhoto Photo Reference Sets are available for this class of ship by clicking on the button above. Many sets are available, including onboard, and some extremely detailed overhead views. The Final Countdown (1980) - Perhaps not the most credible of premises, but a fun movie with some great footage of the Nimitz and her air group. The USS WASP (LHD-1) class ships are still entering the fleet, with 7 built ourof a total 8 planned in total at this time. 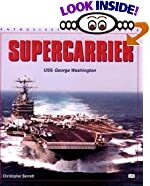 They are the largest amphibious type ships in any navy, and when the WASP was moved sideways to launching dock, it was the largest object ever moved over land. 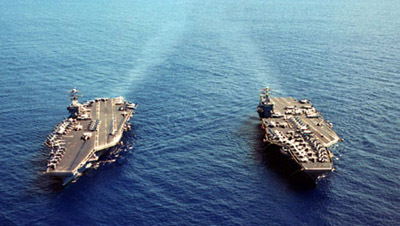 These ships resemble straight deck aircraft carriers with a very large island structure and a large gate in the stern that opens up to the spacious flooding well deck inside the ship. The WASP class ships can operate up to 40 helicopters of all types or Harrier VSTOL jump jets. This hull is complete up to the flight deck level and features the large bulbous bow, elevator wells, anchor bolsters shaft exits and strut locations molded in, and comes with a set of arrangement plans.